PRACTICAL FAITH: If It Don’ Work, Don’ Bother! The original word for “faith” in Scripture was “emunah”, and it had a lot more to it than the nebulous “belief” I was once taught. Faith without works really is dead. The picture of Emunah (Original Faith) is Strength Watering and Securing the Sprouting Seed and Standing in Awe, Looking at the results. Real Faith is real work, implementing the Natural Laws given in Torah, and seeing the results of working within those tangible, functional, “Good” Rules. 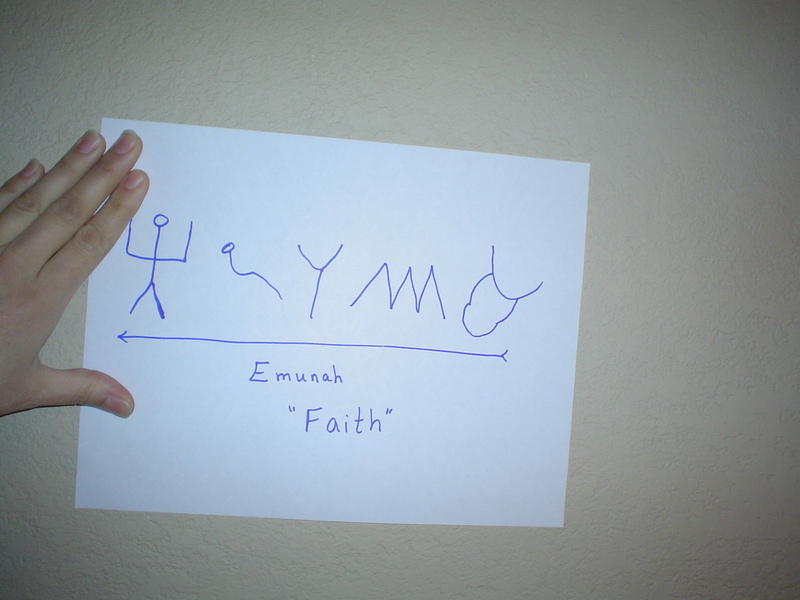 Emunah is really better-translated “Faithfulness.” When we are faithful to YHWH’s Teaching and Instruction, we experience the results of real, active, living faith. If faith produces the Tov (Functionality / Goodness) described in Torah, it’s real faith, and you can hang your hat on it. Just like we invest strength in following the Natural Laws, planting a seed and watering it and watching it sprout and grow into food, there are a multitude of rich laws that can feed, heal, teach, and guide us if we’ll implement them. Faith that implements the Teaching and Instruction of YHWH is recognizable in the Tov it produces. HILARY BUTLER, spokesperson for the Immunisation Awareness Society. The Health Department is intending to vaccinate 540,000 children from the ages of 2 – 10, which they say will prevent an epidemic of 50,000 cases, 900 hospitalisations with complications such as pneumonia and encephalitis, and 10 deaths. The seven to 10 year olds were the so-called susceptible children in 1991 who either got measles, or were the targetted population for the “one-off” MMR vaccine campaign. Of the 2- 6 year olds 85%. have been vaccinated with a vaccine which is supposed to produce antibodies in 95% of vacinees. This means that 87+ of the 2 – 6 year old will be given a vaccine that they don’t need, and the 7 -10 year olds will yet again be subjected to another “one-off” jab. In the early stages of the cough, runny nose and fever, a child with Measles will get KOPLIK SPOTS which look like bluey-white grains of salt. These are best seen on the inside of the cheek near the second upper molar, but may also be on the gums anywhere in the mouth. They last for a few days, and are SPECIFIC for measles only. (Medicine International, 1984, pg 20, Viral Diseases in Man, 83rd Edition, pg 412.) Why do you need a painful blood-test with such a specific sign easily available? There is a “cure” for measles. It is called Vitamin a…Cod-liver oil. As early as 1932, doctors used cod-liver oil to reduce hospital mortality by 57%, but then antibiotics became the treatment of fashion, and Vitamin A was thrown out until the mid-80’s. Recent published studies have found that 72%. of hospitalised measles cases in America are Vitamin A deficient, and the worse the deficiency the worse the complications and higher the death rate. (Pediatric Nursing, Sept/Oct 1996.) Yet doctors and hospitals in New Zealand do not use Vitamin A. FACT; 1991 Six deaths, 4 younger than 12 month , unvaccinated, died of pneumonia/encephalitis. 2 vaccinated children, deaths encephalitis. The Health Department says that keeping unvaccinated healthy children away from vaccinated children will protect vaccinated children. They tell us that vaccines protect children, so aren’t they already vaccine “protected”? The answer is No. In 1991 over 60% of cases in children were “vaccinated”. *** The New Zealand, and British Health Departments deny the existence of these cases. (NZ H Dept media release, and BMJ article) and maintain that OPERATION SAFEGUARD eliminated measles from UK. In October 1996, UK started another MMR booster campaign. Up to 81,000 cases of rash and fever. Up to cases of chronic thrombocytopenia. Up to 5 cases of Aseptic Meningitis. Up to 1 case of Central Nervous system damage. *** That in the pre vaccine era, mothers’ antibodies protected babies for around 15 months, measles was mainly an infection of 5 – 9 year olds, and by 15 yrs, 99% had antibodies. By 1985, 14 % of 15 year olds lacked antibody. ( NZ Med J. 27 May, 1987) No-one knows what the level is now, but evidence from America shows that adult measles, which can be very serious, is now quite common. *** that New Zealand doctors and hospitals do not prescribe or use Vitamin A for measles, and as a result, many cases are far more serious than they should be. *** that babies vaccinated who have maternal antibodies, or people who have measles suppressed with gammaglobulin go on to have a higher rate of immunoreactive diseases, sebaceous skin diseases, degenerative cartilage and bone disease and certain tumours. (Lancet, 5 Jan 1985) If you revaccinate children who already have antibodies what will happen to them in later life? *** that you have the right to take home the PRODUCT INSERT, and read it carefully before you make any decision”. IF YOU CHOSE TO VACCINATE YOUR CHILD WITH MMR. Find Healing NOW: For Ourselves, and For Our Children, and the Generations After Them! So they say to eat plenty of green leafies for your health… hmm… where have I heard that before??? A friend asked me to share what economic, practical thoughts I have on how we make it as a single-income family. First off, I have to acknowledge: we’re well-blessed, and I “get it” that not everyone has all the tools in their basket that we do. That said, other people do have tools in their baskets that we don’t. In a nutshell, we have to find thankfulness for what already exists, rather expending time, energy, money, and frustration on pining after what isn’t. In a world where instant gratification and marketing and sales and “shoulds” and “obligations” are often hailed as gods above real needs, real relationships, and multi-generational investments, finding thankfulness for what already exists is not always the easiest path. We don’t walk it perfectly, but we do walk it, learning along the way. 2. Drying Line: Cuts down on the power bill. Wood heat in the winter helps w/ this, as it serves dual purpose: re-humidifies the air a bit, and you’re not paying for the heat twice. 4. 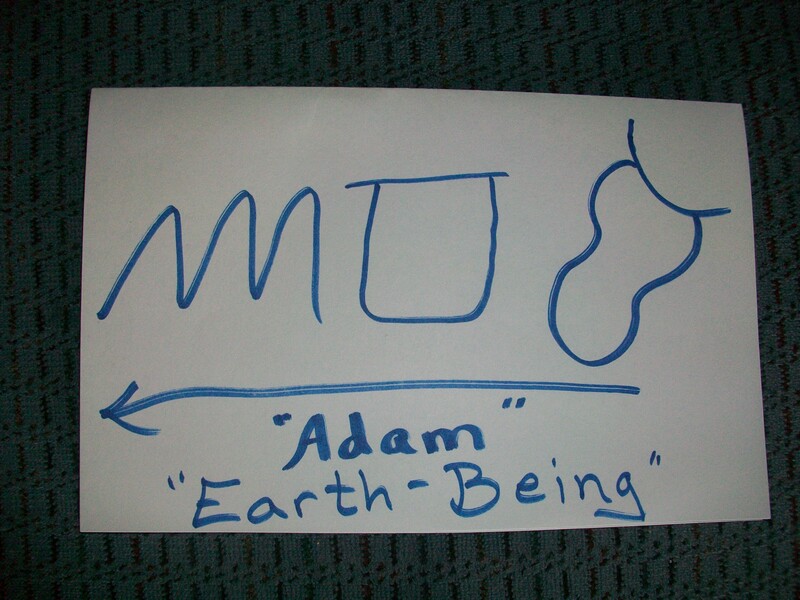 Giving: Ancient Hebrew Pictograph of the word give here. What goes around comes around. Find someone in worse shape than you are (it’s usually not as difficult as it sounds), and do something about it that you *can do. 5. Become Debt-Free: Ancient Proverb says, “The borrower becomes the lender’s slave.” Find a way out of your slavery. 6. Family Relationships: It’s a team effort. We all have to understand that we’re working toward something bigger and more important than money. We have to find the place where we want to build each other and our home into a healthy, peaceful place more than we want the next trinket. 7. 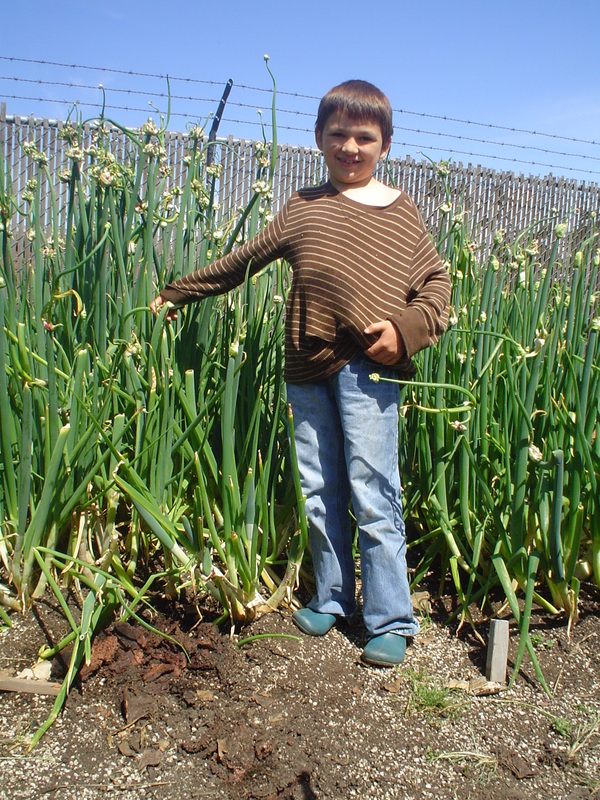 Grow Something To Eat: The closer we get to dirt, the more “grounded” we can be, not only emotionally and physically, but also financially. Our health is one of the most expensive things to lose, and one of the fastest ways to improve it is through organic gardening. Chickens are good, too. Check with local restrictions, though. Some cities will allow hens but not roosters, and there may be a restriction per square foot of land area. 8. Tiny House: More land; Less House; Less Stuff. Find the minimum quantity of “stuff” you need to be happy, and do the house size that just barely fits. Land gives food. House & stuff just drain the budget. Shelving, bunk beds, and Straw-stuffed (make sure it’s clean & dry) mattresses have been a great help for us in making a small house work. 10. 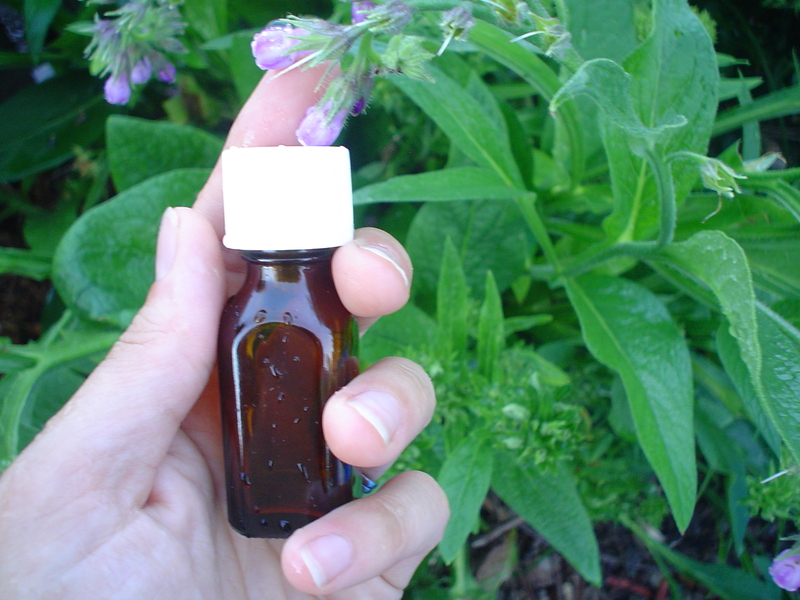 Growing Herbs: Seasonings and Medicines and a lot of herbs that double as both. A gold mine! 11. Convection Oven: In the absence of a very efficient wood stove (will post on Hubby’s invention / modification later) that runs on twigs, rather than logs, a convection oven uses a lot less energy (money) than the regular sort. Our counter-top version was a second-hand purchase, and has been great! 12. Craigslist: That second-hand thing. The world gets a lot less trashed with re-using what someone else figured out they didn’t need. Meanwhile, I pay less than half what everyone else did for theirs, originally. 14. DIY: Look up whatever it is you find you need, and build it, make it, cook it, brew it, medicate it, repair it. Whatever it is, chances are, it’s just not that complicated… unless it’s a computer… and you’re like me about computers. Still working on conquering that “giant” in my world. LOL! 15. Writing? I’m writing a book… hoping it sells a billion or two copies, and we can retire, fat-and-happy! LOL! Love to all of you, who are working to do the single-income thing! It’s been well-worth-it for us: our babies know who we are, and we know them. We’re building our home together, one life lesson at a time.